HEAVY MENTAL MACHINE THE RB26-SWAPPED WRX R34 SEDAN. SUPRA ENGINE. EVO INTERIOR. Get directions, make calls, send and receive messages, and listen to music, all in a way that allows you to stay focused on the road. Just connect your iPhone or Android phone and go. www.sony.com ©2017 Sony Electronics, Inc. All rights reserved. Reproduction in whole or in part without written permission is prohibited. Sony and the Sony logos are trademarks of Sony Corporation. Android Auto workswith devices using Android 5.0 software or higher. Some devices may not yet support Android Auto, see the Google site for the latest list of compatible devices. Android Auto and its logo are trademarks of Google Inc. Apple CarPlay works with iPhone 5 and newer phones. Apple CarPlay and its logo are trademarks of Apple Inc. Features and speciﬁcations are subject to change without notice. CHECK OUT OUR FULL LINE OF AUTO/MARINE AND ATV/UTV AUDIO SOLUTIONS. Shigeno is done with it. WITH THE ADDITION OF A PRECISION 6266 TURBOCARGER AND A TRUNK RADIATOR SETUP, THE “RACE CAR” MONIKER ISN’T JUST SOME FLUFFED UP TITLE – THIS THING IS BUILT TO BATTLE. NOSTALGIC GRAINS’ RESTO-MOD BMW 3.0 CSL RACE CAR William Izaguirre of Nostalgic Grains has one cool project in the works for SEMA 2017. What started out as a factory 1973 BMW 3.0 CSL has gone under the knife over the past year, building up to a full blown replica of the famous 3.0 CSL Race Car – with a bit of a modern twist. The original motor just wouldn’t cut it for what Izaguirre was after, so he sourced an S50 out of an E36 M3. With the addition of a Precision 6266 turbocarger and a trunk radiator setup, the “race car” moniker isn’t just some fluffed up title – this thing is built to battle. Carbon fiber will be used liberally in the dashboard, seats, and aero, and some 17-inch center-lock BBS wheels will finish off the look at ground level. The car is still under construction, but we’re told it’s almost ready to go. Keep an eye out for this nostalgic racer at SEMA 2017.
a Roomba of sorts for your grass. self to its charging point and refuel. ELEVATE YOUR PERSONAL SPACE. Nobody handles the road like you. Or finds the best spot for bar-b-que. While avoiding a 6-car pileup. Your secret? The KENWOOD eXcelon Navigation System with Bluetooth and HD Radio. Expertly designed by Kenwood with industry-leading guidance by Garmin, it’s fully compatible with both Apple Carplay and Android Auto for seamless integration. Making your space personal. So you’re always clear to launch. me up with their oil filter relocation kit and oil cooler to make my life easier, and Mike of GT Custom Exhaust in Oshawa helped me fix some previously damaged parts and wiring. Clarion has also supplied me with a full audio system, but we’ll cross that bridge when we get there. I need my interior together first. IT’S GOING TO BE A LONG JOURNEY BACK TO A PERFECT STREET CAR. body needs some love - and paint. sponsors, the journey has begun. tr. HOT NEW PRODUCTS AEM Electronics CD-7 and CD-7L Digital Dash Displays From $1,443.33 | AEMPower.com Racers rejoice! AEM’s Performance Electronics division has introduced a digital dash display series complete with everything you need on track day. A bright, high contrast display can be viewed in sunlight, and features everything from instrument display to optional logging and lap time tracking with a Vehicle Dynamics Module. AutoMeter has introduced expanded support for applications requiring high performance, high pressure gauges. These new 2-1/16-inch 200 PSI pressure gauges are available in the brand’s most popular gauge lines. One of the easiest and most affordable ways to monitor critical air suspension, oil, or any other pressure readings on your vehicle. If by chance you need a 200 PSI boost gauge, we absolutely salute you! CARSHYPE “&&&” T-Shirt $24 | Carshype.com Lower and camber and stretch and poke and stance, just some of the essentials needed for a car to break necks everywhere it goes. This 100% cotton shirt with a custom shirt tag is designed and hand assembled in California, with love. Available in sizes S-XL with free shipping to the continental US. The KEQ20 is a 6-channel pre-amp equalizer network, which is to be used with high quality power amplifiers and speakers in a multi-amplifier system for high fidelity sound reproduction. This EQ provides maximum flexibility to configure every possible car stereo system. The KEQ20 comes with a built-in high-to-low converter to integrate with OEM source units. The DMH25 Screen Mirroring Wi-Fi A/V Adapter allows you to wirelessly mirror most audio/video content from any compatible smartphone to the screen of an in-car multimedia receiver. The device plugs into the receiver’s HDMI and USB inputs, and communicates via Wi-Fi Direct. Receivers featuring 2-Way DualMirror technology also allow for control of Android devices from the receiver’s touchscreen. Fullriver Battery Full Throttle FT825-34 High-Performance AGM Battery $253.99 | FullriverBattery.com For a vehicle with multiple accessories or a custom stereo, the Full Throttle FT825-34 High-Performance AGM battery is the perfect under-hood upgrade for your car, truck, or SUV. Its Thin Plate Pure Lead (TPPL) technology, brass terminals, and high shock and vibration resistance give you the confidence that your battery will handle everything you put it through. Grassroots Performance LSX x Nissan Trans Adapter From $600 | GrassrootsParts.com Looking for an easy, reliable, and performance-ready manual transmission for your Gen-3 LSX swap? Grassroots, alongside G-Force Performance Products, have come together to make a complete hassle-free bolt-on kit that mates any Gen-3 LSX to Nissan Z32 5-speed and Z33 6-speed transmissions. Both these transmissions have proven themselves to withstand high horsepower and torque in a compact package. Kit includes adapter plate, flywheel, stage 1-5 clutch kit, and starter. Everything you need in one box! Cera Tec is a high-tech ceramic wear protection product for all motor oils. Cera Tec reduces friction and wear due to ceramic compounds that withstand extremely high chemical and thermal loads. Prevents direct metal-to-metal contact, thus increasing the engine service life. The low-friction effect reduces fuel consumption in gasoline and diesel engines. Sufficient for 1.3 gallons’ oil volume. Long-term effect for 30,000 miles. Lloyd Mats is now offering floor mats with licensed emblems for the following models and years: Accord 2008-on, Civic 2012-on, CR-V 2012-on, CR-Z 2010-on, Fit 2010-on, HR-V 2016-on, Insight 2010-2014, Odyssey 2011-on, Pilot 2016-on and Ridgeline 2017-on. These logos will be available on all of Lloyd’s carpet floor mats products for Honda vehicles, starting with model year 2008. Embrace your inner dad self with this “dad hat” from TBA Brand. The TBA Katakana “dad hat” comes in Navy Blue with white embroidery and a red TBA tab label on the rear strap. Seibon Carbon TT-Style Spoiler for 2016-2017 Honda Civic Sedan $640 | SeibonCarbon.com Seibon’s TT-style spoiler for the 2016-2017 Honda Civic Sedan is a fiberglass wing with a carbon fiber center which adds a touch of aggressive Japanese style to Honda’s popular sedan. With styling similar to that of high end sports cars, this is a must have for any owner searching for that street fighter look. TurboKits.com Mercedes-Benz CLA 250 Turbo Upgrade $1,495 I turbokits.com TurboKits.com's CLA 250 (C117) Turbo Upgrade is constructed of billet aluminum, with a 59-mm compressor wheel that's 5-axis CNC machined and flows 36+ lbs/min of air. Peak HP and torque gains are in the 80 to 100 WHP range, but the power band continues to grow up and beyond 4,500 RPMs, where gains approaching 125 WHP and lb-ft of torque can be seen. This turbo spools like stock, creates great power, and pulls all the way to redline! Xstatic Batcap X4000 $499 | XstaticBatcap.com For the serious car audio enthusiast, the Xstatic Batcap X4000 is a long life 115-amp hour battery that weighs in at about 80 lbs. The X4000 has all the energy you need to satisfy your car audio demands! Unitronic Turbo-Back for MK7 GTI MQB $1,859.99 | GetUnitronic.com Unitronicâ&#x20AC;&#x2122;s 3-inch turbo-back exhaust system for MK7 GTIs features a TIG-welded, T304 stainless steel, CNC, mandrel-bent construction, stainless steel corrugated flex section, high flow 200-cell metallic catalytic converter, polished 4-inch slash-cut tips, and the unique V-band fastening system featuring Clampco clamps, which guarantee a leak-proof connection. Designed to remove factory restrictions to unleash full engine potential. Introducing Grassroots Performanceâ&#x20AC;&#x2122;s aluminum fabricated LSX intake manifold kit for the Gen-III LSX engine. Available in high-rise/low-rise, satin black/polished aluminum, 102-mm or 92-mm. Expect increased horsepower and torque levels throughout the power-band over stock units. Grassroots Performance's entire line of LSX components are made and tested with the performance enthusiast in mind, yet all have a bold appearance suited for the street and track. AEM Performance Electronics Water/Methanol Injection System $459 | AEMElectronics.com Reduce air inlet temps, suppress detonation, and reduce carbon deposits in your turbocharged, supercharged or high compression naturally aspirated engine with AEM's water/methanol injection kit! WMI allows you to increase boost and advance ignition timing while using pump gas and increase power levels by up to 20%! AEM's WMI system includes everything you need to do water/meth the right way the first time. of Anaheim, ready to fight Disneyland goers for a $20 parking spot. The will call and media lines for tickets wrap so far around the building, to the point that confusion kicks as to whether I’m going to a car show or waiting to get on the new Guardians of the Galaxy ride at California Adventure. The anticipation is brutal and I still have to get past security before I can chase down the beats rumbling throughout the hall from the dance stage, where Major League Crew, The Venmo Project, and Junior New System are warming up for their dance battle. Finally, I make it inside and feel that electrifying energy shooting through my body, signaling to all my senses that I have finally made it to the SPOCOM show. And, no, that feeling was not from seeing everyone bolt out of Sneaker Con next door carrying a bag full of the latest Jordans or Yeezys - those sneakers are nothing compared to Toyota Supras, Nissan GT-Rs, Honda Civic Type Rs, the hottest import models, and ridiculously skilled dance crews. For fellow car junkies, this is your quick fix for some summer madness before you go back to school, work, or whatever it is that you do. From wall-to-wall, SPOCOM is where some of the freshest car owners in North America have all gathered into one building to flaunt all their hard work since last July. on a place to eat for lunch. get thrown out by Big Abe. cars for future PASMAG features. Mitsubishi Evolution is a good start. SPOCOM has continued to pull a strong following with sellout attendance and competitors. Not to rub it in for the non-Californians, but nothing can quite compare. Now all that’s left is for me to do is let my eardrums reset to normal audible levels and decompress my thoughts, while I type away and rot my brain on social media. I really wonder how I used to do this every other weekend. It must have been before I discovered this thing called sleep. See it all... Master it all. TüN™ 2.0 PC software works with all FiX™ and TwK™ models. area by a line-up of almost every flavor of GT-R, including two BenSopra-kitted examples, which lead to a closed-in, carpeted display with new Work wheels on show, as well as Nextmod Mississauga’s JCP Magic, LS-swapped RX-7 and the brand-new Old & New slant-nose 996 Porsche, affectionately named “Ultron.” Ultron wasn’t the only Old & New Porsche on display either – actually, Importfest’s main exhibition featured a red carpet rolled out for both of their team members’ Porsches, clad in the newest widebodies available from Japan. At the far left of the carpet was Navin Pillai’s plum purple Old & New 997, and at the far right was Importfest’s Pandem 987 Cayman – the first in Canada. Also a first, both Porsches were equipped with Vossen’s prototype three-piece forged wheels in 18-inch sizing. We at PASMAG had our own attraction in the form of our Tuner Battlegrounds Live competition, and the two facing off were Saiss Parthipan’s Hyundai Genesis, the local, and Alexandre Bouchards’s Subaru WRX hailing from Quebec. After a hardfought battle, Parthipan came away with a decisive victory, reeling in 68-percent of the popular vote and earning a trophy and a feature in a future issue of PAS! Turn on, turn heads You customized it yourself – made it your own. Now, you can light the way. Turn on and turn heads. With Philips LEDs, you’ll be one of a kind. Taking home the “Biggest & Baddest” award (Importfest’s Best in Show) was Jason Gale’s Varis Kamikaze Nissan 370Z, which came as a surprise to no one. Gale’s car is on another level in terms of fit and finish, and quality of parts used. With its wild body styling, multi-piece HRE wheels, and super rare Top Secret titanium parts, this car is a standout, even when it goes over the border to American shows. Speaking of which – there were more enthusiasts from the US that came up this year than any in the past. Seeing plates from Boston, New York, and Wisconsin was pretty cool. Considering some iterations of Importfest have been almost exclusively Canadian, it’s great to see enthusiasts from the US of A recognizing Importfest for the show it is and making the trip up to show off and hangout. After a full day of taking in the show and shine, watching break dancing competitions, and trying to find a way around the lines formed for the featured models, Importfest 2017 was finished, but the events carried on to the next day to celebrate the grand opening of Importfest Performance, the team’s new shop in Scarborough. As the show continues to evolve, so does the brand, which we think means that 2018 will be even bigger and badder. rowing up alongside his dad’s project cars in the garage, Henry Vela wasn’t as into the world of cars back then as he is now. After helping his dad for so long, basic maintenance such as oil changes and brake services started to stick with him as he understood more. Fortunate enough to be a part of a family which was heavily into modified cars, everything started coming together after he saw the first Fast and Furious movie. He started to develop a keen interest in cars, and once his brothers took him to local car meets where he was surrounded with car culture and late nights, his fate was sealed. As a full time college student, Vela had to be careful when diving into a modified car. He had to strike a balance in his personal life, including school and family time while also working on a car. He chose a 1997 Honda Civic with the aim of keeping costs manageable. Of course, once you pass a certain point, there is no going back. Vela went into his build with a vision in his head, saying he wouldn’t be swayed by the opinions of others while working on his car. Since that day, the look of his car has changed over time, and it stands out in any crowd. With a modified D-series Honda engine under the hood and plenty of mods both inside and out, this Civic was put together with love and appreciation. Vela extends a heartfelt thank you to Teddy, Son, Jose Garcia, and everyone else who helped him out along the way. He closes with a plea to up and coming enthusiasts: “Never let negativity diverge you from your own vision,” he says. “Build what makes you happy.” That is a philosophy we can all get behind. ABS system, fuse box, ECU, battery, and extending a bunch of wires, only asking his friend, Jim, for an assist in welding up the engine bay. While being the most challenging, Valenti says the outcome of having one of the few shaved and tucked eighth-gen coupes out there was so worth it. And we haven’t seen the last iteration of this Civic either. In the words of the man himself: “My car will never be done because I will always have some new idea that will pop into my head.” I guess we’ll see what’s next on Valenti’s mind through his Civic coupe. ften times we find what we were looking for in a place we hadn’t thought to look, and that’s exactly what happened with Josh Gonzales and his 350Z. Back when Gonzales was in the process of building his Subaru STI, he picked up the 350Z you see here as a daily driver. The more he drove the Z, the more he realized it was more fun to drive and push to the limits compared to the Subaru. It wasn’t long before his attention shifted, and when the Rocket Bunny kit came out, that was the final nail in the coffin. The 350Z was now the project. Gonzales takes pride in having done everything on the car himself, with the help of some friends at most. Despite encountering a few challenges along the way due to having very little experience, he persevered, and says he couldn’t be happier with the rewarding feeling of doing it himself. It also made for a great learning experience! As a show car, Gonzales wanted his 350Z to be well-rounded, and he definitely hit the mark. “I like that the car is balanced,” he says. “It's not like most show cars that have no power under the hood, but it's not like a track car that is only focused on performance and nothing more. I think my car has the right amount of every aspect.” Well done, Gonzales! Visit air-lift.co/3h3p to configure your 1/4” or 3/8” control system. KIT FEATURES 1. 2. 3. 4. WTCC kits, and they had one with Torres’ name on it. He purchased it immediately. Combined with his front end conversion, Type R spoiler, Top 1 diffuser, BBS RS wheels, and retrofitted headlights, the car’s look has been completely transformed. Although he started out building a show car, Torres’ time with the car has slowly given him the need for speed, and he says he finds himself wanting to track the car more and more. Now that's a transition we can get behind! DATA-IF YOU WANT TO WIN, YOU HAVE TO KNOW. X-SERIES GAUGES X-Series pressure and temp gauges make readability instinctive. Large center LED with sweeping needles, outputs for logging and ECUs and thin cup for simple mounting anywhere! CD-7 & CD-7L (logging) Digital Dash has an available Plug & Play Adapter Harness for 2008up OBDII vehicles and works with virtually any CAN bus device. Daylight readable, fully programmable and 7 total pages. Add a VDM or GPS Module for track mapping and lap times! The AQ-1 OBDII Data Logger logs channels from the OBD port on 08+ vehicles, and reads/clears trouble codes! It is expandable through 11 additional inputs and AEMnet CAN bus. It includes a 3-axis G-meter and serial input, logs at up to 1000Hz/channel and includes free analysis software. X-Series Wideband AFR Controller Gauge has patented 100% digital technology that makes it the fastest responding wideband available! Available with OBDII CAN cable for adding AFR to programmer data logs. he really enjoyed. It wasn’t long before he was creating a list of modifications to source, and thanks to Autodream, a shop just down the road from his house, he was able to get most parts with relative ease. them as the best brakes he’s had for the GT-R. In closing, Nguyen jokingly cautions prospective GT-R owners. “Owning an R32 GT-R is expensive, especially when you’re a student on budget,” he laughs. “It's my second girlfriend.” Take good care of her! home to his parents’ house back in the states. Even with the car now owned by him, Togans wasn’t done shopping. He developed a vision for his car, and began ordering parts to go with it while he was still out on deployment. Only when he arrived home on holiday leave periods was he able to start piecing together his build. Taking inspiration from Japanese street cars and car culture, he carefully chose reputable brands with a longstanding history on his platform. Pioneer AVH 3300NEX DVD Receiver Review A singleDIN head unit for the smartphoneconnected audio afficionado. kay, I’ve done plenty of reviews about smartphone oriented head units, and this is going to be another. This time, however, we are looking at a product that actually fits in a single-DIN opening! So, if you have been longing for a dash full of high tech trickery to meld with your smartphoneobsessed lifestyle, here is one that won’t require a complete dashboard remodel just to fit. The brand-new Pioneer AVH3300NEX features an innovative and highly customizable interface, and is designed specifically for today’s smartphone driven user. It includes all the whistles and bells you’d expect and hope for, including a seven-inch motorized touchscreen in a single-DIN sized chassis. This is a brand-new piece, so the unit I received for review is a pre-production prototype - that’s how new it is! The unit is on shelves alongside some of the other recently introduced NEX units by time you read this. personal preferences, and there are multiple different lighting colors and display choices available. Two auxiliary video inputs (RCA and 3.5-mm) are available on the rear panel, as well as a rear-view camera input, and a rear video monitor output. CONTROLS AND FUNCTIONALITY As you might expect, there isn’t a lot of room to fit many hard buttons on the faceplate, as the front edge of the screen takes up the top half of the space. Once the faceplate quietly motorizes out, virtually all the controls and adjustments will be made on the touchscreen, aside from the rotary volume knob on the faceplate. This is a good thing, because most of them are hard to reach when the screen is out anyway. The controls and icons used are clear and easy to use, and the overall ergonomics are fine. The screen provides a clear picture for DVD playback, or when viewing the picture from the optional rear camera input. A wireless IR remote control is also included in the box. AUDIO PERFORMANCE On the test bench, the Pioneer proves to be an admirable performer. The built-in amplifier develops 20 watts x 4 into four ohms, and has a ruler flat frequency response. The pre-outs also measure very well, with 3.9 volts of unclipped output, and an equally flat response curve. Output impedance is decent at 190 ohms, and signal-to-noise performance is excellent, measuring -82.1 dB A-weighted. A built-in DSP-powered crossover provides 11 frequency selections and the slope is adjustable from -6 dB to -24 dB in six-dB steps. To further aid tuning, a 13-band EQ is also built in, and the optional Pioneer CD-MC20 would add Auto EQ and time correction functionality. CONCLUSION Smartphone-centric users with single DIN dashboard openings finally have something to cheer about! The AVH-3300NEX has all the bells and whistles of the double-DIN units, but now will fit in your dash. Everything I’ve seen here tells me it will be an easy to use, easy to live with, and a good sounding unit. With all that in a single-DIN chassis, your search for connected nirvana may finally be over. SONY XAV-AX200 AV Receiver Review A smartphoneready head unit that is so easy to use, you may not need the manual. ony’s all new XAV-AX200 builds on the popularity of the XAV-AX100, but now it includes a CD/DVD transport as well. A perfect choice for smartphone integration, it features Apple CarPlay and Android Auto connectivity. This allows you to control your favorite features with the unit's touchscreen or voice commands, as well as receive spoken directions from navigation apps. To further simplify your life, it even automatically detects the type of phone you’re using! the unit also supports Bluetooth hands-free calling and streaming, SiriusXM Radio, and it will even play back FLAC audio format files stored on a USB drive. On the audio side of things, the Sony won’t disappoint. A 20x4 amplifier is built in, and there are front, rear, and sub-out pre-amp connections, with four volts of output. Combine that with a 10-band EQ, Sony’s “Extra Bass” bass reinforcement, DSO (Dynamic Stage Organizer) and built-in crossovers, and you’ve got a ton of tunability and adjustment at your fingertips. The XAV-AX200 is compatible with many factory steering wheel controls, without needing an adapter. voltage and low source impedance. Output impedance is very important because it allows good signal transfer over the vehicle’s noisy chassis with minimum degradation, and a high signal voltage permits minimal gain required at the amplifier. This provides the best possible noise immunity and dynamic range. I generally won’t consider a head unit truly high performance unless it has at least three volts of clean pre-amp output. One thing I was a little surprised to find were the basic -6-dB/Oct crossover slopes in the pre-out filters. I would have expected at least second order filters, if not selectable slopes. For those who are simply going to use the built-in amplifier, it meets the CEA-2006 rated power and the S/N measurements for both the amplified outputs, and the pre-amp outputs also exceed the rated spec. Distortion at rated power is also very low, and the frequency response is reasonably flat as well. get simpler or safer than this. In addition, there are hard buttons for track up and down, as well as a home button for the main screen. If you like to customize your screen, the Sony provides several different wallpapers to choose from, or you can import your own image via the USB port. One thing I wish most source unit manufacturers would improve on is the convenience of accessing the subwoofer level control. This should not require the distraction of navigating multiple screens and menus to access, as it gets used frequently. The Sony is as good (or bad) as the rest, needing a multi-menu process to arrive at the sub level output control. At least it has one. Overall, the Sony XAV-AX200 is a good-sounding, easyto-use source unit. It has good audio specs and enough features to satisfy most everyone. Its primary focus is unquestionably the smartphone integration, and if that is high on your wish list, this is definitely a receiver worth serious consideration. Tucked away in a garage in Lancaster, Pennsylvania, the shrieking laugh of Austin Barnett can be heard echoing from within over the whiz of impact guns, high-pitched buzz of saws ripping through sheet metal, and the sizzle of metal being welded back together again. Inside, Barnett toils away on his wide WRX, stretching and relocating in the bay to fit his transplant: the heart of a monster. HEAV L A T N ME E N I H C MA SOON, JUST LIKE THE ‘STANG BEFORE IT, THE WRX HAD BEEN PUSHED TO THE ENGINE’S LIMITS AND BARNETT STOOD AT A CROSSROADS: REBUILD THE FLAT-FOUR EJ25 TO HANDLE MORE ABUSE, OR DO SOMETHING COMPLETELY DIFFERENT. WRX, and combined it with one of the most legendary sport compact cars, the GT-R,” Barnett says of his choice. “I hear from many other enthusiasts that I’ve combined two of their favorite cars into one.” Now, if Barnett’s WRX was a trailer queen, it wouldn’t really matter how he supported the engine and the power it produces, but seeing as how he actually has the guts to drive this thing, his friends made sure that the hatchback wouldn’t implode on the first drive through town. Fast of West Chester fabbed-up a tubular front subframe, subframe brace, and a transmission crossmember to keep things from getting twisted, and Barnett employs sticky R888s in 315-wide, wrapped around 18inch Nessen Forged S7.0 wheels, to keep the four corners from continuously burning out. Massive eight-piston front, and six –piston rear Runduce calipers help bring the WRX down, while an Air Lift air suspension system literally brings the hatch’s MNT Rider Designs widebody and Carbon Fiber Element fenders down over the 12inch wide wheels. him to view custom vehicle data or datalog on track, and an iPad mounted for control over the Air Lift 3P management. The custom six-point roll cage ties the theme of show and go all together. “One of my favorite aspects of the build is the people and friends I brought together to build this car,” gushes Barnett. “With many other great friends whom are also entrepreneurs, I wanted to build a car that could feature all of our work. I’ve met a lot of my best friends along the way.” One of the friends he made along the way that Barnett lists as his biggest inspiration is Willy Izaguirre, a fellow business owner (Nostalgic Grains) and rad car owner (SR-swapped ’68 Datsun Roadster). Izaguirre’s Roadster was a definite inspiration in the uniqueness department, but he also taught Barnett to stay humble and build his passion. Those lessons led Barnett to build the WRX you see here now. For Barnett, it’s not about trophies (even though he’s won quite a few now), it’s about building something truly unique, which we feel he’s done – in a mad scientist kind of way. We’re glad he flipped the switch on his WRX, giving it life and scaring the townspeople, but he's not done yet - Barnett has teased us with a couple letters and numbers for the future: RB30. Phil Blottie, the man behind Twisted Images, is no stranger to Datsun’s 510 platform. By the time he got to the example you see here, he had owned 15 of them in a 20-year period. In love with the 510’s drivability, looks, and tuner-friendly nature, Blottie was already familiar with the platform when it came time to build something truly different that hadn’t been seen before. A same-brand engine swap is always cool, but he wanted to go the distance with this build, turning it into something that couldn’t be replicated. THE 13B ROTARY SENDS ITS POWER TO THE DRIVETRAIN VIA A TURBO II MAZDA RX-7 5-SPEED TRANSMISSION, WHICH TRANSFERS ROTATING POWER INTO AN R200 DIFFERENTIAL. BLOTTIE’S CAR WAS BUILT ON A BUDGET, BUT THAT DOESN’T PREVENT IT FROM BEING A TOTAL SHOW STOPPER WITH MORE CHARACTER THAN ANY OTHER CAR IN THE ROOM. CHASSIS/SUSPENSION steering wheel, Defi Advance ZD gauges, and Corbeau four-point harnesses – the perfect hints of modern day aftermarket parts in a custom classic. Blottie’s car was built on a budget, but that doesn’t prevent it from being a total show stopper with more character than any other car in the room. Part of the idea for Blottie was to show that you can do great things in the car world without blowing your life savings. “You don't need an unlimited budget, the newest fanciest parts, or a $20,000 paintjob to enjoy a car, or even win at shows,” he says. “This car was built on a budget to take out to shows, abuse on the street, do burnouts, shoot fireballs, and make people stare!” This is definitely one of the best Datsun 510s out there, made especially cool with the use of some imagination and ingenuity to create something that can’t be mimicked. What a twist! To you, mid-July probably conjures up fond memories of long summer days, cold beers by the lake and barbecues in the back yard, but all the way down here in New Zealand? July is the worst. ENGINE motor bolted up in a single night. I was never chasing big power for this build, but in normal 2JZ fashion it made big numbers without much stress.” Aside from a set of 278 10-degree lift cams, the motor is internally stock, but still easily strong enough to handle the 591 horsepower at the wheels supplied by a Garrett GTX 35/82 - a versatile turbo that is cheap and easy to find in wrecking yards across New Zealand, thanks to Ford Australia using it on its excellent four-liter straight-six Barra motors, as found in the ubiquitous Ford Falcon XR6T. you ease on the throttle around town, it’s fine. Stomp on it though, and it goes straight to red line.” Even with a car full of people sitting comfortably on modified Mitsubishi Evo seats front and rear - the R34 absolutely hauls and handles, and that’s part of what makes this car so great. Often the more time and money we spend on cars, the less we get to use and enjoy them, but Ng has his racecar for that; this machine is built to strike the perfect balance of what a good street car should be. Sure, there’s a bevy of far more extreme vehicles floating around my fair country that I could have also shown you, but Ng’s R34 sedan is, to me at least, the embodiment of a perfectly balanced build. It sits directly in that “goldilocks zone” of speed, looks, practicality, and drivability, all without being crammed full of a catalogue’s worth of megadollar aftermarket parts. Sure, my camera gear may have needed a few days next to the heater to dry out afterwards, and I’m pretty sure I ended up with pneumonia for my troubles, but after watching Ng’s ER34 slide down the street in the pouring rain, plumes of water spraying off the rear treads and flames licking the bumper as he made a break for home, I’ll happily say it; I regret nothing. qualified technicians is prepared to help. Through endless hours of research and development, along with many accounts of trial and error, they have developed the skill to walk you through your ideal project vision and goals. Reach grassroots enthusiasts 365 days a year with strategic content, social marketing and more! TAP into the ultimate platform to engage real enthusiasts through events, social media and traditional print and digital properties. event listings TUNER BATTLEGROUNDS #TBGLIVE #TBGLIVE provides regional competing opportunities for event promoters and competitors. Competitors who wish to participate in #TBGLIVE must advance/pre-register to compete in the #TBGLIVE affiliated event(s). Hot Import Nights brings automotive celebrities and top industry influencers to the Portland Expo Center on October 7th for an event not to be missed! Showcase your vehicle and take home awards and prizes or come witness the top show vehicles the North West has to offer! The ultimate import lifestyle festival makes its way to Portland, Oregon! Over 200 vehicles will be on display and competing with their systems in over 50 different formats of competition. Competitors from multiple states as well as Canada and Mexico come together for this one of a kind “battle of the car stereos.” The sound off organizations of dBDRA, IASCA and MECA are all partners in producing this event. An event in which premium car owners and wheel fitment enthusiasts meet and showcase their incredible crafted vehicles in the Houston area. One hundred preapproved cars will be selected to be inside the event next to the hottest vendors and sponsors. VIP parking will be located inside the event this year. 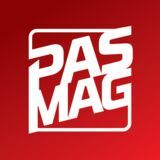 In 2017 we will be releasing weekly installments of PASMAG Tune Up, the tuner's source for WEEKLY NEWS, EVENT COVERAGE, SOCIAL RUN-DOWN and a close look at what is TRENDING in the automotive world. We'll also use the platform to RETREAD back to some of your favorite PAS content throughout the years, and offer our readers a new source for what is happening in the automotive world right now. IMMORTALITY ACHIEVED. With over a full year of painstaking work and a no-expenses barred attitude, Clarion resurrected and reinvented an icon. Clarion Builds’ NSX started its journey as a bone stock and tired year-one Acura NSX. In its signature style, Clarion brought together an elite group of industry leaders to do what they do best, taking on the ground-up restoration, modernization and tasteful modification of a timeless supercar and a true automotive legend. Here at Turn 14 Distribution, we have the performance parts your customers need, stocked floor to ceiling in our massive Pennsylvania and Nevada warehouses. With flat-rate shipping, the best B2B experience in the industry, and a return policy designed to make doing business with us simple and seamless, we’re ready and able to provide the parts and service you need. Turn 14 Distribution – Performance Delivered. Period.